The children from the Pre-K class were really excited that the fire fighters visited them last Thursday. The children got a tour of the fire truck and a look inside. There are a few buttons in the gallery above, SL stands for slideshow, and FS for full screen. Depending on your internet connection it might take a long time to load. Below is a short movie – click on the triangle to play. 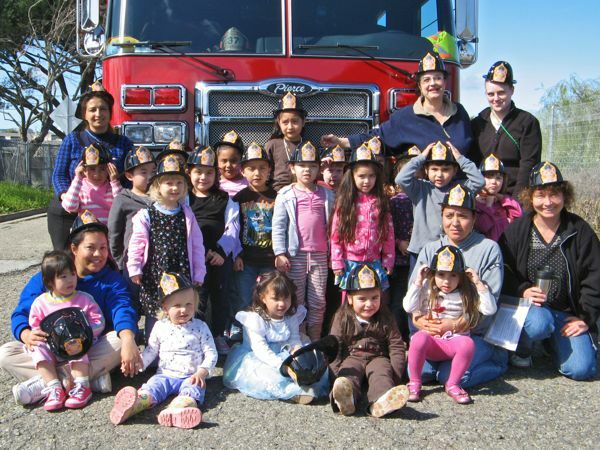 Special Thanks to the Millbrae Fire Department! Everyone could try out the fire hose and got a helmet at the end. What a fun event!